The US stock market is well-known for some of the world's biggest tech names. Facebook, Amazon, and Apple to name a few. But technology isn’t the only game in town. The US is home to world-leading companies in almost every industry, from media and film through to manufacturing and transportation. Investing in the US could be a good way to diversify a global portfolio. Most funds investing in the US aim to grow your original investment, rather than pay any income. Some focus on the largest companies in the market, usually those within the S&P 500 Index. Others look for opportunities amongst small and medium-sized companies, which may offer greater growth potential, but are higher risk. The US is home to many global businesses that dominate their field. It accounts for over half the global stock market. We think most diversified portfolios should have some exposure to the US market. But it's one of the most heavily researched in the world. Share prices are quick to react to new information. This makes it difficult for active fund managers to gain an edge or find opportunities overlooked by other investors. For exposure to larger US companies we think a low-cost, passively managed fund could be considered. We continue to look for US fund managers with the potential to perform well over the long term. We think there are more opportunities for managers to add value among higher-risk smaller and medium-sized US companies. The US was the best-performing major stock market for UK-based investors over the past five years. Semi-conductor, technology and healthcare businesses have performed well, helping funds invested in these areas. Oil & gas was the worst-performing sector, but still grew by 12.1%. When we analyse stock markets we compare company profits with share prices. We’ve been saying the US market looks expensive for a while now but US earnings have increased and share prices fallen. This makes us think the US is a little more attractive than it was but we still think investors should tread carefully. Some of this profit growth has come from tax cuts. Tax cuts can be expected to encourage investment in business – good for the economy. They also cause an immediate, one-off jump in profits. There’s nothing wrong with this. We just have to be careful not to assume the same level of profit growth will be seen in future years. US interest rates have also been rising which could also curtail profits. This is not to say the US should be avoided entirely, or that returns will be poor. We think the stock market is an excellent home for long-term investments. For many investors this could include some exposure to the shares of US companies. We don’t feel there's currently a compelling case to significantly increase investments here though. We regularly review all the major investment sectors. Here we provide comments on a selection of US funds. They're provided for your interest but not a guide to how you should invest. If you are unsure if an investment is right for your circumstances please seek personal advice. Comments are correct as at January 2019. Remember all investments can fall as well as rise in value so investors could get back less than they invest. Past performance is not a guide to the future. The managers of this fund look for high quality companies with a good culture and a competitive position in their industry. They then hold on to them for the long term. They tend to keep the portfolio quite concentrated which increases risk. The fund performed better than the broader US stock market over the past year. We put this down to the managers’ ability to select companies with bright futures ahead of them. The managers invest more in growth companies and these have been the strongest contributors to performance. The current managers have only run this fund since April 2014. We'd prefer to see how they get on over the long term before considering the fund for the Wealth 50. The manager focuses on three types of company: those whose prospects have been overlooked by others; those that generate consistent earnings; and those that are changing for the better. This fund invests in a lot of companies in the industrial and financial sectors. But our analysis shows these haven’t been great areas to be invested in over the past year. This dragged on performance. The manager’s long-term track record is strong but there's been some long periods of underperformance. We currently prefer other managers in this sector. Investors should remember that investing in smaller companies increases risk. Cormac Weldon tries to invest in smaller companies whose potential has not yet been recognised by others. Smaller companies are higher-risk than larger ones. The fund has performed better than its benchmark since launch in September 2014. Our analysis puts this down to the manager’s ability to select companies with strong prospects. The fund’s recently made attractive profits investing in producers of medical marijuana. The fund’s also done well picking stocks in the consumer goods and services sectors. The manager’s track record before he joined Artemis is a little more subdued. He performed in line with the benchmark for a number of years. His fund currently does not feature on the Wealth 50 list of our favourite funds. Invests in companies the manager thinks will be able to grow their dividend in the future. It’s a total return approach – when he gets it right a rising dividend could lead to growth in the value of an investment. John Weavers has been managing the fund since April 2015. The fund’s delivered positive returns and more recently Weavers has performed marginally better than his benchmark. It’s a short track record though and there are no guarantees the past will repeat itself. Weavers tries to avoid the fund from being too biased to a particular style. He divides the fund between companies he thinks will pay a reliable dividend, higher growth companies and cyclical companies he thinks could be about to experience an upturn in fortunes. The manager looks for small and medium-sized businesses with growth potential overlooked by other investors. Smaller companies are higher-risk than bigger businesses. The fund has delivered an attractive long-term return. But it’s performed less well than the broader market of small and medium–sized US companies in recent years. Lauren Romeo’s approach of investing in unloved companies has largely been out of favour. Investors preferred companies with more dependable earnings streams. They’re thought to be more secure. We still think the fund can provide good returns over the long term. The manager’s contrarian approach means the fund offers something different from many of its peers. This fund tries to track the performance of the FTSE USA Index. It invests in more than 600 large and medium-sized American companies. This fund invests in every company in the FTSE USA Index. It’s tracked the index tightly and efficiently over both the short and longer term, losing little value to annual charges. We think this fund is a great option for low-cost exposure to the US stock market. 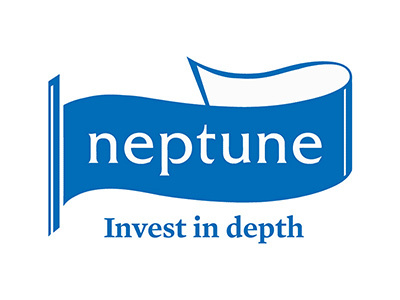 Robert Milway has left Neptune Investment Management and handed responsibility for the Neptune US Opportunities Fund to Ali Unwin. Patrick Close remains the fund’s co-manager. The Legg Mason IF Royce US Smaller Companies Fund has underperformed the broader US stock market in recent years. We look at the reasons behind this underperformance and share our views on the fund's prospects.